To make it easier for veterans to get mental health and other intensive health services, H.R. 840 provides for child care while vets are receiving treatment. 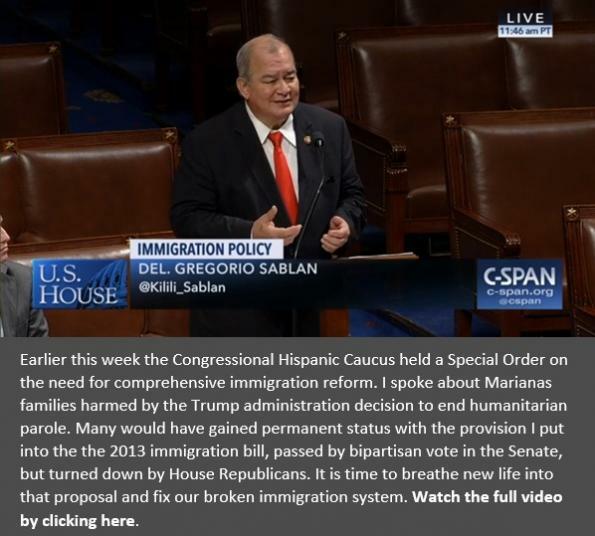 On Friday, the House passed H.R. 840, the Veterans’ Access to Child Care Act, by a vote of 400-9. 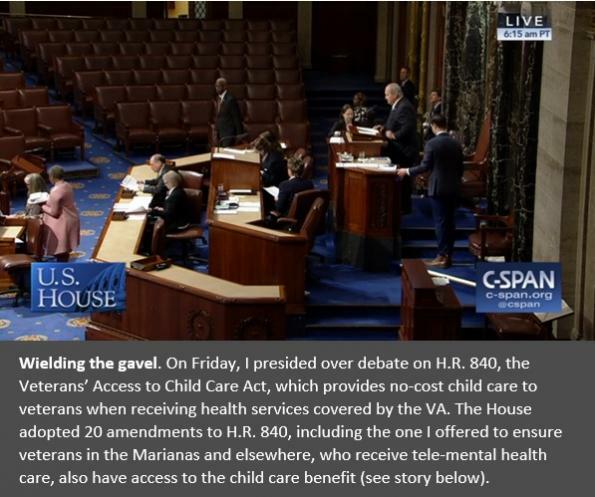 I offered an amendment during debate to clarify that veterans receiving telemental health services, like that available at the VHA Saipan office, are also eligible for child care assistance. Most parents are not going to use the mental health services the VA provides, if it means leaving their kids home alone. And worrying about their children will only worsen the mental stress for veterans in need of care. My amendment was adopted unanimously and H.R. 840 now goes to the Senate for consideration. 3. removes obstacles for workers seeking to bring a class action lawsuit. Minimum wage in the Marianas has doubled to $7.25 per hour during my term in office and people’s lives are better. But minimum wage in the rest of America has been frozen over that time. On Thursday, the Education and Labor Committee took testimony on legislation to begin raising the national wage to $15 per hour. 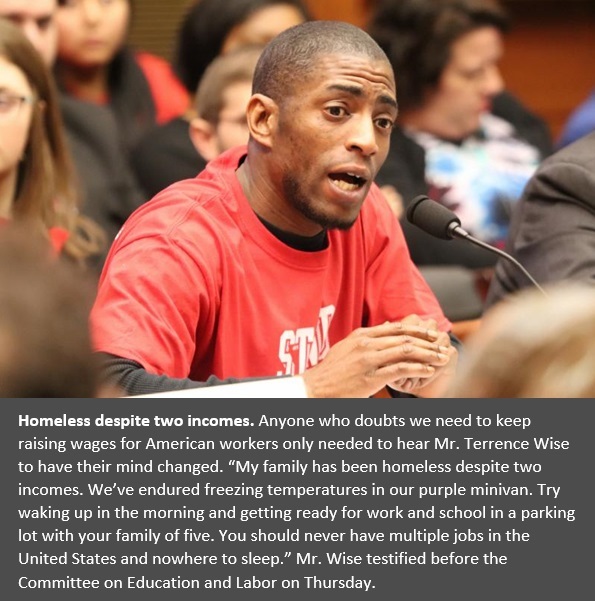 We heard from economists pro and con, but most compelling to me was the testimony of Mr. Terrence Wise. He and his fiance both work to support their family. But they still rely on food stamps and Medicaid—paid by the taxpayers—because their employers pay so little. I am a cosponsor of the Raise the Wage bill, H.R. 582, along with 195 of my Democratic colleagues. Of course, the Marianas just finished a huge increase in the minimum wage and our small economy is much more fragile than the national economy. So, the timing and size of future increases for our islands have to be carefully managed, just as I did through legislation to time the increases that brought us to $7.25. But my goal is that those who work earn what they need to care for their families. Everyone deserves that dignity. Back-to-back typhoons in the Marianas, one of which was the second most powerful storm ever to the strike America, are stark reminders that the climate is changing and action is needed. With 67 of my House colleagues and 11 in the Senate yesterday I introduced the bold vision of how to address climate change that is the Green New Deal. Authored by Rep. Alexandria Ocasio-Cortez (D-New York) and Sen. Ed Markey (D-Massachusetts) H. Res. 109 lays out guiding principles that should be applied to all the work we do in Congress in recognition that almost all aspects of life are impacted by and have an impact on climate change. Rebuilding the infrastructure that Super Typhoon Yutu knocked out, so our power and water and transportation systems can withstand storm damage, is one example of how we can apply the Green New Deal to the Marianas. Following through on the goals the Commonwealth has already set in law to reduce dependence on fossil fuels is another. I will be working to help our islands and all America achieve the goals set in the Green New Deal. We are continuing to collect Typhoon Stories from constituents who lived through Typhoon Mangkhut and Super Typhoon Yutu. To make it easier, we have set up a short survey that aims to capture the Marianas’ journey to recovery: how people sought aid, life in the aftermath of the storms, and the difficulties throughout. Please take time to fill out this survey. Your answers will help improve federal response for the Marianas during future disasters. To take the survey, click here. If you would still like to tell your story via email, email typhoonstories@mail.house.gov. The number of cosponsors for our Shark Fin Sales Elimination Act of 2019 has hit the century mark and continues to grow. There are now 21 Republicans among the 107 cosponsors. Saving sharks and protecting our ocean ecosystem is a bipartisan issue. I look forward to working with my colleagues on the House Natural Resources in moving the bill forward in the coming weeks. 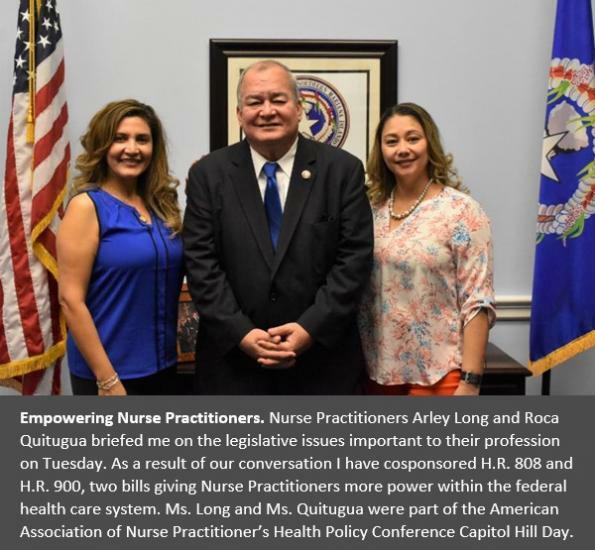 And many thanks to organizational leaders such as Humane Society Legislative Fund's Sara Amundson who recently penned a Letter to the Editor of the Saipan Tribune in support of the legislation. Over 12,000 Chinese immigrant workers played a vital role in the construction of the First Transcontinental Railroad, which transformed the way Americans traveled and how goods were distributed. As we come upon the 150th anniversary of the completion of the railroad, I joined my colleagues in a letter to the U.S. Postal Service’s Citizens’ Stamp Advisory Committee recommending the issuance of a commemorative stamp to honor these hard working, brave Chinese workers. Chinese railroad workers were given the hardest and most dangerous jobs and nearly 1,200 died from work-related accidents while being paid less than their non-Chinese coworkers. In 2014 the workers were honored by induction into the U.S. Department of Labor Hall of Fame; a stamp depicting their efforts in building the railroad would be an appropriate way for us to reflect on their contributions to our nation. 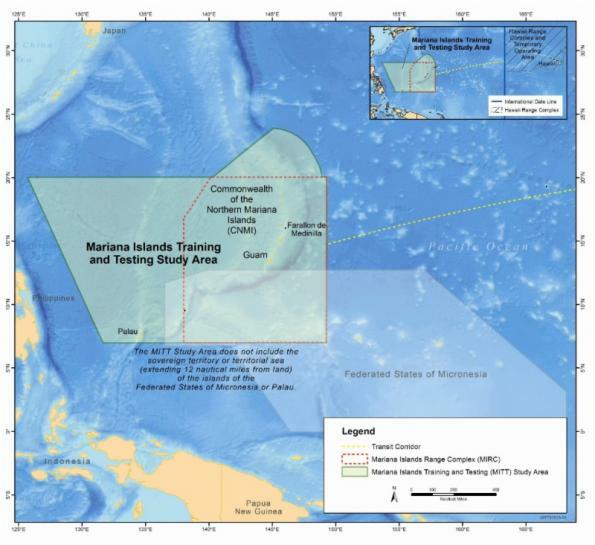 Everyone now has an opportunity to say what they think about the environmental impact statement for the Navy’s plans to train and test in the Mariana Islands. The Navy has issued a Draft Supplemental Environmental Impact Statement/Overseas Environmental Impact Statement (EIS/OEIS) this week and the next step is public comment. In the Draft Supplemental EIS/OEIS, the Navy reassesses the potential environmental impacts associated with conducting ongoing and future military readiness activities at sea and on Farallon de Medinilla. Copies of the Draft Supplemental EIS/OEIS are available for public review online and at the public libraries on Tinian, Rota, and Saipan. 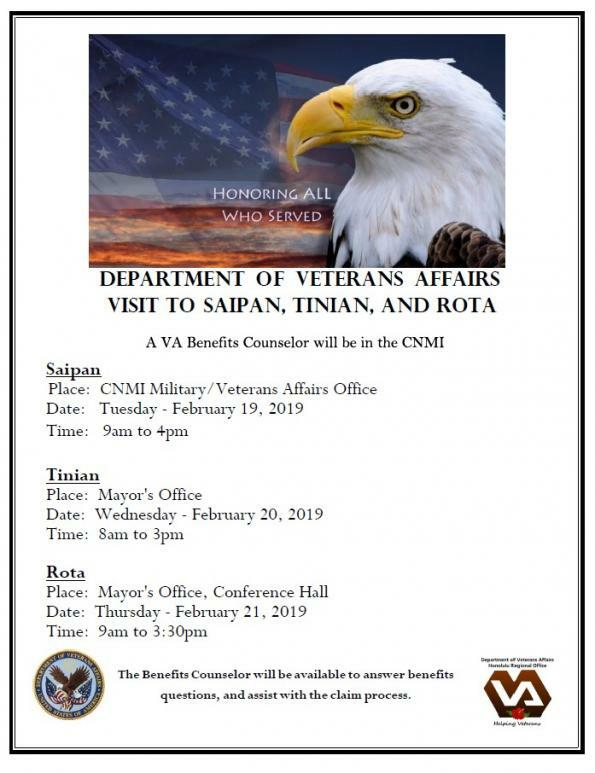 A public meeting will be held on February 27, 2019 at Kanoa Resort, Seaside Hall in Saipan from 5:00 to 8:00 pm with Navy representatives available to provide information and answer questions. Comments not submitted at the public meeting must be postmarked or received online by March 18, 2019, Chamorro Standard Time, for consideration in the Final Supplemental EIS/OEIS. For more information and to submit comments, go to https://mitt-eis.com/. Governor Torres supports improved status for those impacted by the Trump administration decision to end humanitarian parole. His January 25 letter reached the congressional office this week. The Governor also said he supports status for those who lived and worked in the Marianas before federal immigration law was extended to include our islands. Both these goals are part of legislation, H.R. 560, that I introduced on January 15. I appreciate the Governor’s words of support. He also recognized the legislation has a much better chance of passage now that Democrats control the U.S. House of Representatives. 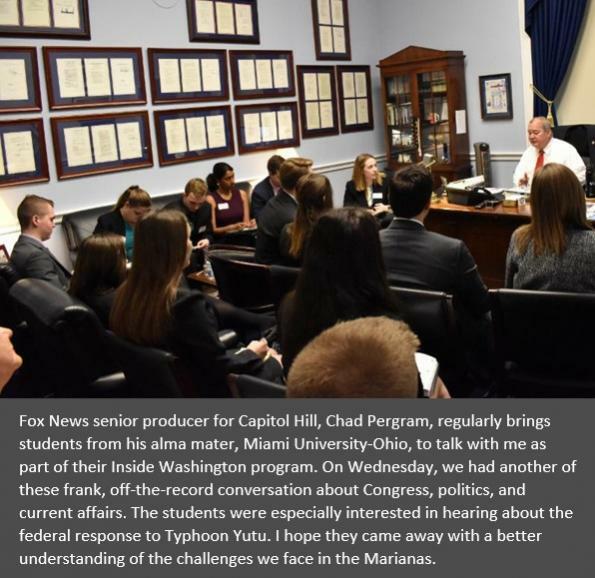 I agree and have scheduled a hearing for February 27 on my bill and the recent immigration policy decisions by the Trump administration that hurt the Marianas. 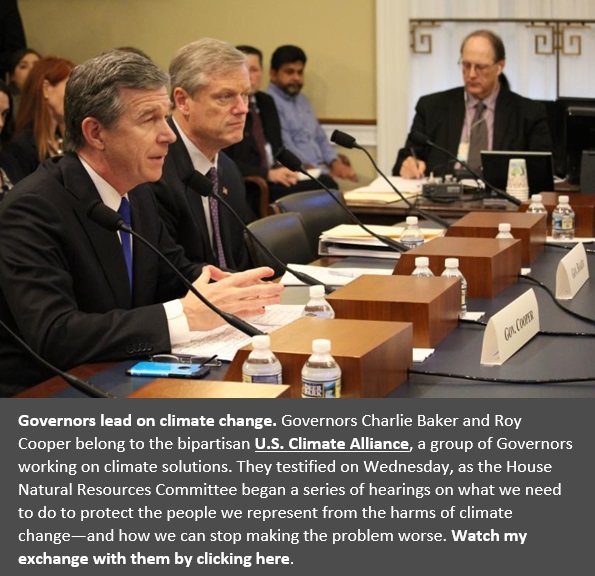 Invitations to testify went out this week to the Governor and federal agencies. 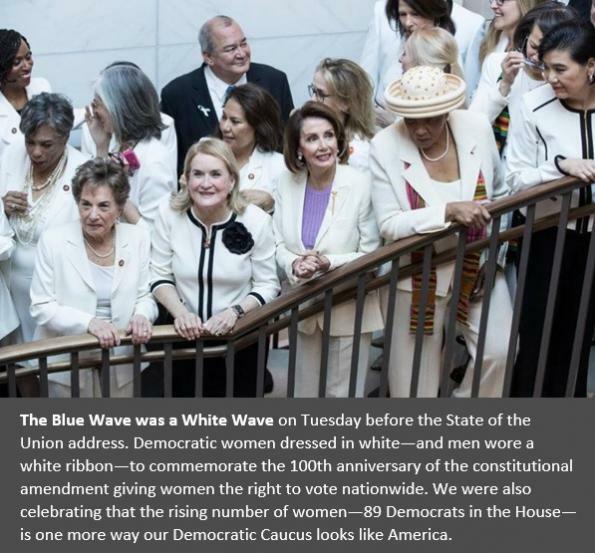 Do you want to work on Capitol Hill for a House Democratic Member of Congress? 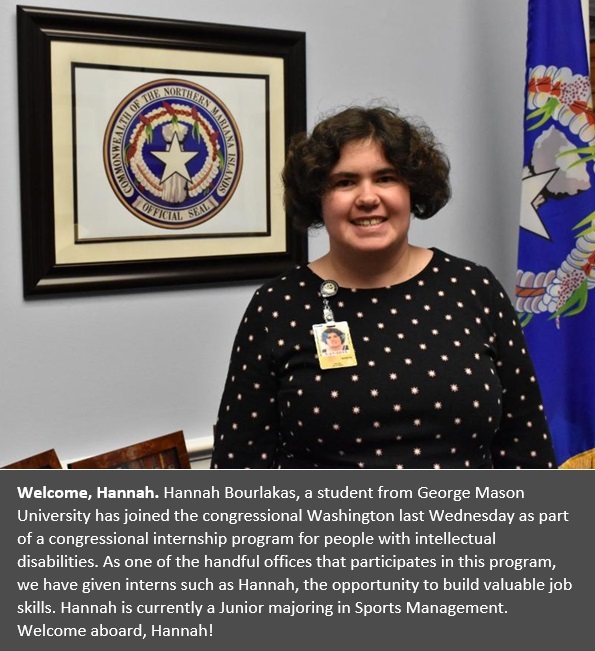 Enter your information into the official resume bank for House Democrats: https://www.majorityleader.gov/resumes. Your submission will be visible to current House Democratic staff only. H.Res. 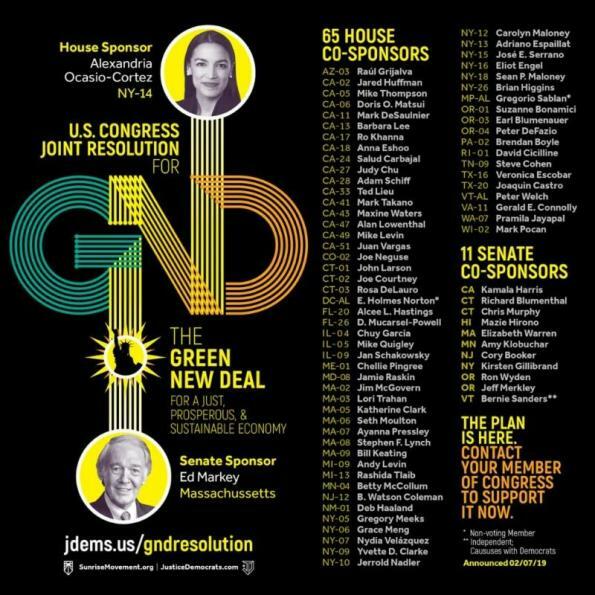 109 – Recognizing the duty of the Federal Government to create a Green New Deal.